As the premier physical therapy clinic in Flagstaff, Arizona we are the clinic to take you from pain to performance. Why let pain prevent you from living your life? You want to do the things that you love without pain. Let our doctor of physical therapy get you moving again to get you back on track. You want to take your fitness to the next level so you can run that next marathon, bike that next race, or feel better all around. Our fitness training can get you there. Don’t just improve your sport performance, but your life performance as well. Massage therapy can be a great adjunct in a whole body treatment. Click the button to schedule today. 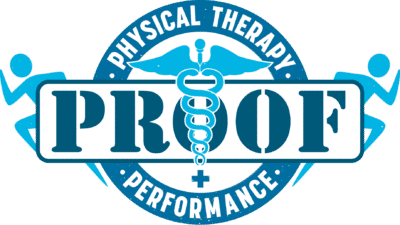 At Proof Physical Therapy and Performance we would love to hear from you. One of our awesome team members will get back to you soon!